THE Cumbria age group and county swimming championships took place at various locations over two weekends and Laura Huggon proved to be star of the show for the Penrith club. Qualification for these events required swimmers to record a time within 20 per cent. of the national qualifying time, which meant it was a real achievement just to participate. Laura won three events the 12 years 100m freestyle, in a time of 1.06.01 (an improvement of almost two seconds on her heat time); the 12 years freestyle, in 31.28; and the 12 years 50m backstroke, in 34.81. In addition, she was second in the 100m and 200m backstroke, and third in the 400m freestyle. For a swimmer from one of the the smaller clubs in the county, this is a tremendous achievement and is the best performance by a Penrith swimmer for many years. Laura, a pupil at Penrith Queen Elizabeth Grammar school, is the daughter of Doug and Rosie Huggon. 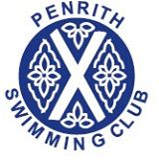 A number of other swimmers, Danny Smith, Naomi Smith, Rebekah Smith, Allan Armstrong, Colin Slee and Jason Heath, achieved top six finishes. There were also a substantial number of personal bests recorded which, in the tense arena of such a high pressure gala, is no mean achievement. Other swimmers representing the club were Whitney Savage, Jay Johnson, Calum Forsyth, Aaron Pamphillon, Jeff Marshall, Martin Heath and Jodi Nelson.